This shorter, edited version of the film by Aoife McArdle served as the video for the song “Every Breaking Wave”. 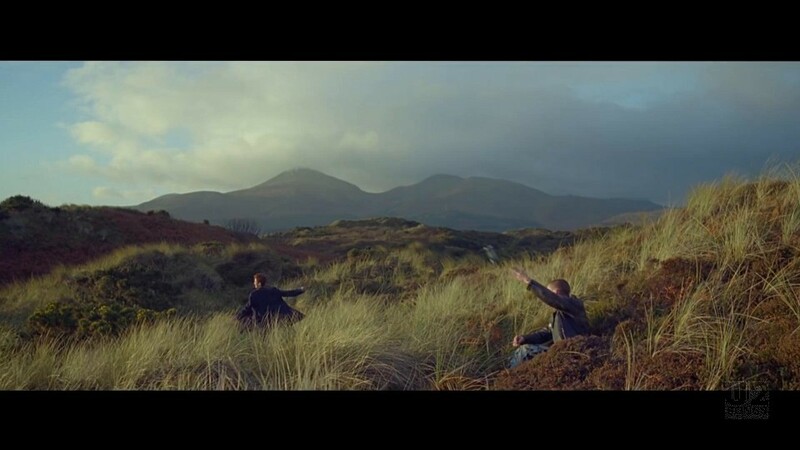 The short film was shot in Belfast, Northern Ireland over four days, December 15 – 18, 2014. U2 were not present for the video shoot, nor do they appear in the video. 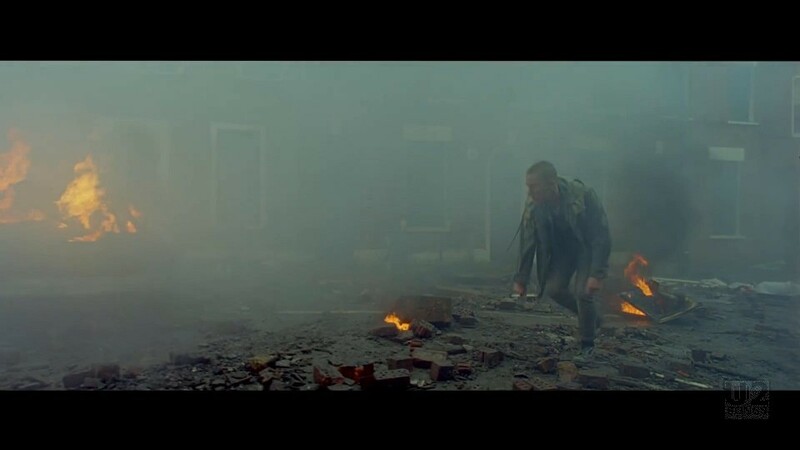 The video was filmed in and around Belfast. The first days shooting was outdoor scenes at night in and near Colin Glen Forest Park. On the second day indoor filming was done. On the 17th and 18th the street shots were completed. The entire film ran 13:17 in length and used music from “The Troubles” by U2, and “Alternate Ulster” by Stiff Little Fingers, as well as “Every Breaking Wave”. Here is is edited down to 04:38 for the video. 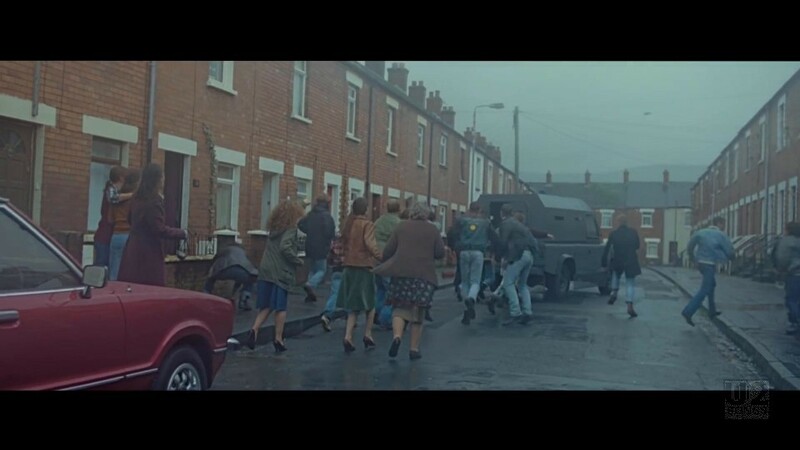 The video is set against the turmoil of Belfast in the early 1980s, where McArdle grew up and follows two young people, one Catholic and one Protestant, who fall in love during the Troubles. One summary of the video explains, “The short tells the tale of two teenagers of opposing religions – a Catholic boy called Sean (Josh Thompson) and his love interest, a Protestant girl from the Shankill. Akin to Romeo and Juliet, the two teens fall in love amidst ongoing strife in their hometown, trying to overcome the odds.” Sandra is played by Emily Lamey. The video includes voice overs from the characters in the film. The edit starts with scenes in a club in the early 80s where a crowd surfing girl sees a green eyed boy. We then see them dancing in the woods, swimming together, and falling in love. Sean’s father is later taken and he is seen ripping up posters and getting involved with a group of men with guns. Sandra goes to visit him, and at the same time a bomb goes off leaving the street outside the home in ruins. She’s ok however, and Sean and Sandra help a wounded soldier to his feet at the end of the video. "U2 - “Every Breaking Wave” Single"
"U2 - “Every Breaking Wave” Promotional Release"
"U2 - “Songs of Innocence” Album"